Do you know where I left my car keys? ….. The after effects of spending time with women of a certain age! 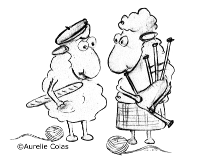 Woolfest – Episode 4: Gotland, what else?